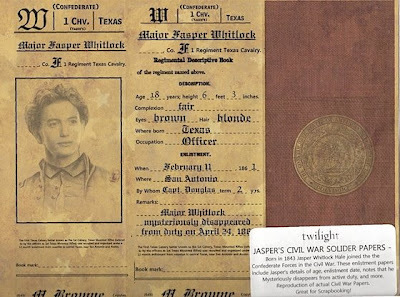 below is a pic of a souvenier, Jasper's War Papers, we could've picked up if we had. This is just weird. Or is it me?! nah Ginger, I thought it was kinda out there too! I agree it is fun to like look at and stuff, can't say as I'd have to HAVE it!